Is your fridge a mess and you constantly have to throw away food? Staying in control of all the products in the fridge can be difficult. 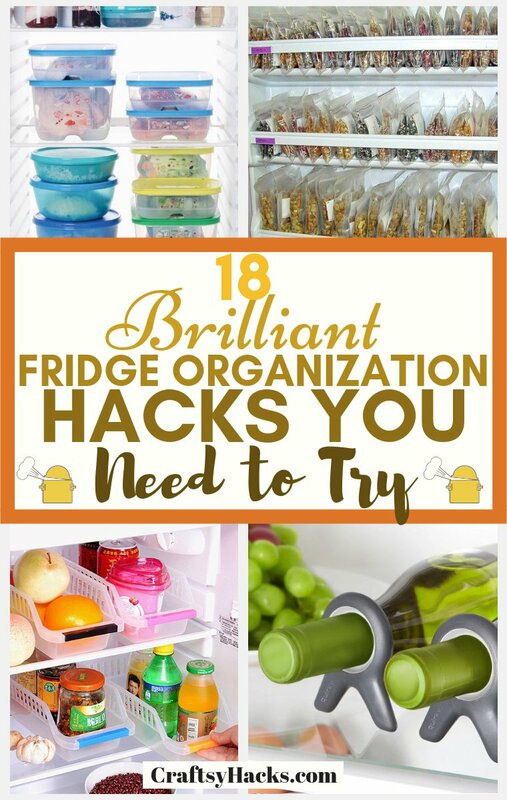 So, today I thought I‘d share some of my favorite fridge organizing hacks. These will save you a headache or two! There is nothing better than storing the local fresh vegetables in glass jars once the season comes. They‘ll stay good for longer time because they‘re tightly sealed. Store your herbs with a little bit of water in the jars and they‘ll last for up to 3 weeks. Also, seeing the vegetables and other fresh produce through the glass jar can inspire you to make something healthy every day. When the food is right in front of our nose, we tend to remember to use it. So, it‘s definitely a good way to use jars to keep your food fresh for longer. Don‘t have any jars? Get a bunch of good quality mason jars here. 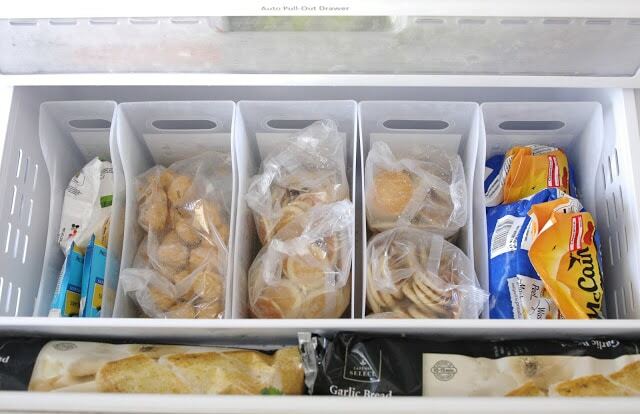 Get these organizer tray bins and organize your freezer into sections. Keep your breakfast in one, veggies in another, meats and frozen fruits in seperate ones too. Your freezer will be less messy. Also, it‘ll be much easier to check what you need to buy whenever you‘re going shopping. Sometimes all freezer drawers get so messy you don‘t even know what products you have in there. Stacking up your bottles in the fridge can be hard since they keep on sliding. However, you can easily do that with a binder clip. Just clip it to the wire and stack up your bottles. They‘ll stay perfectly organized! This form collects information we will use to send you updates about special offers and news. We will not share or sell your personal information. You can unsubscribe at any time. Having a turntable will save your from being annoyed whenever you have to reach for a particular sauce. That can become a problem when your fridge is extra full! Get a good quality turntable here and store whatever you need on it. Especially the products that you use most often! Get your own beverage dispenser for fridge and store your natural juice in it. It‘s very handy to have one in the fridge, because it keeps the juice cold. Also, it‘s super handy and will eventually save you time cleaning and organizing the fridge. Here is a good dispenser you can look into. Store your nuts and other dry products in magnetic tins. This great idea came from Jen at Tatertots & Jello. 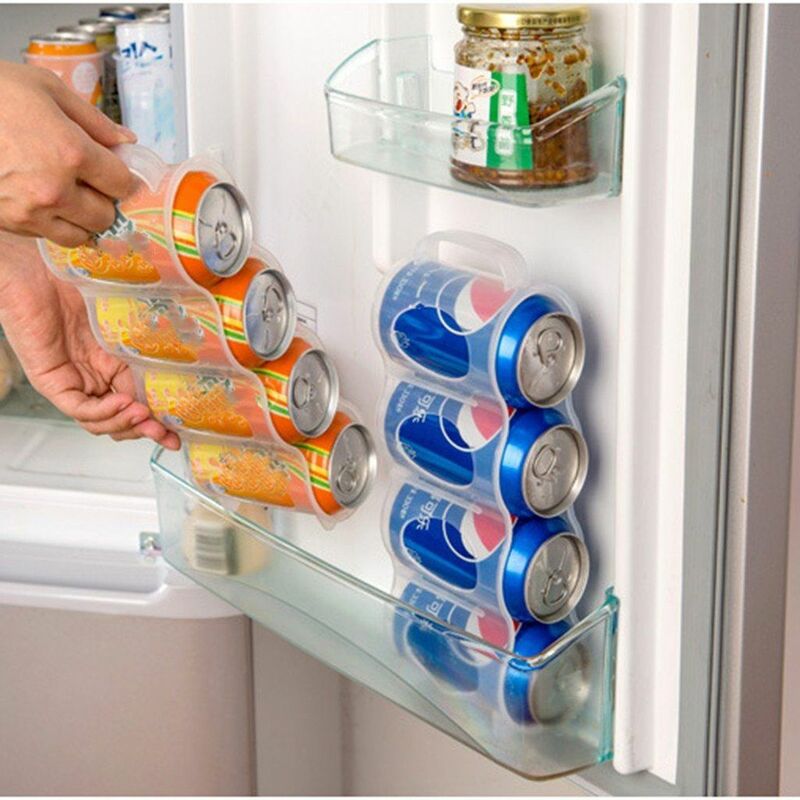 Make your own magnetic tins and attach them to the outside of your fridge. 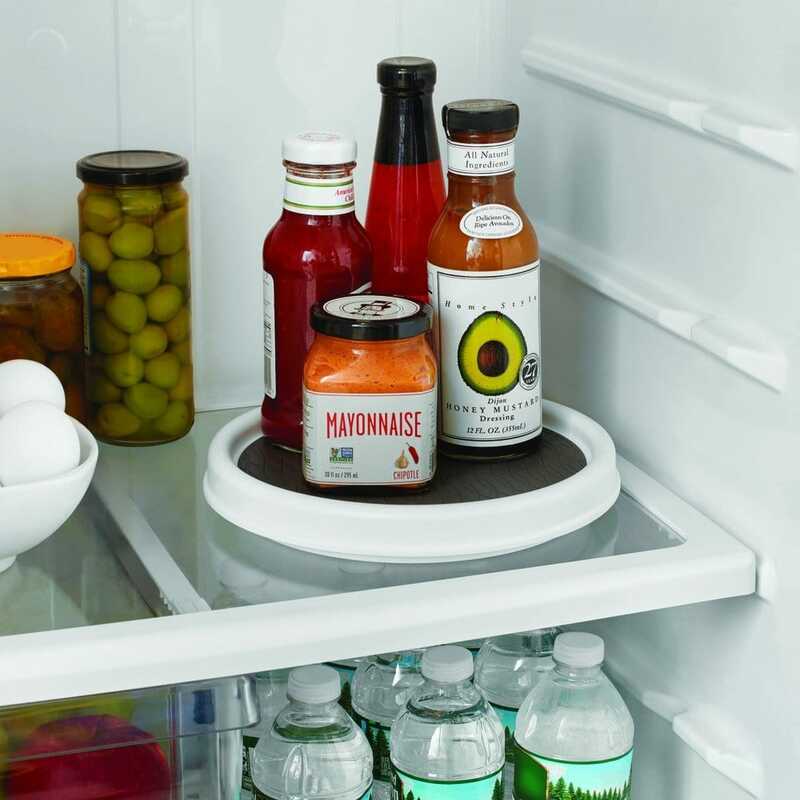 So, now you don’t need to use only the inside of your fridge to store food. Simple, requires a little bit of work but looks amazing in the end! How many times you‘ve organized your fridge just to have it messed up by someone else? 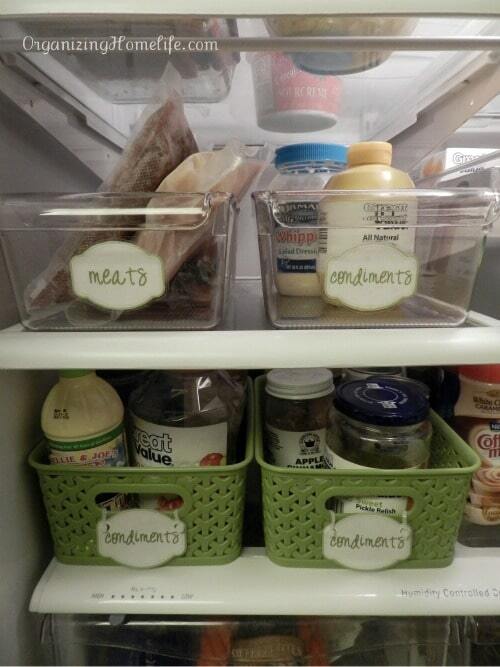 Make your own colorful labels so that all family members know where to put what. You can attach them to the baskets, or even the jars you have. Next time someone asks “Where to put this cheese?“, just tell them to read! How many times have you bought cheese just to lose it somewhere in the fridge and find it a couple weeks later? That happened to me multiple times and that‘s pretty much the worst way to waste the food you love. 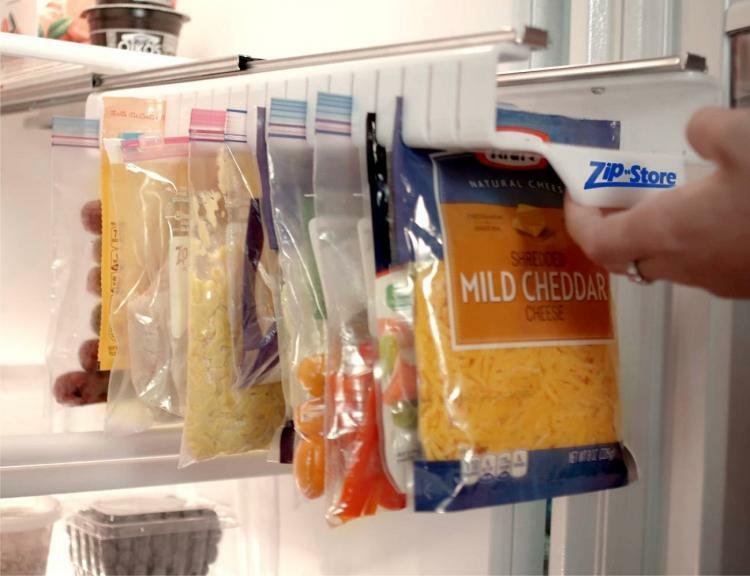 This little slide-out holder can be great for organizing your ziploc bags. Just keep your cheeses and other products in the bags and line them up in the order of expiration. Just pull them out, get the food you want and push them back in. Easy and very efficient! P.S. 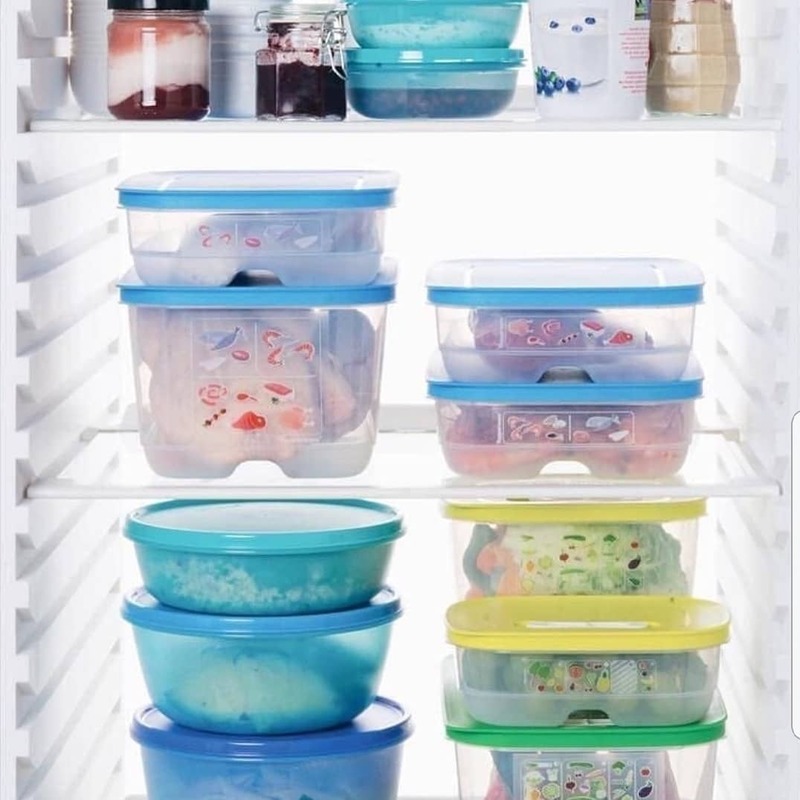 You can get the ziploc bags at the Dollar Store and organize your fridge. 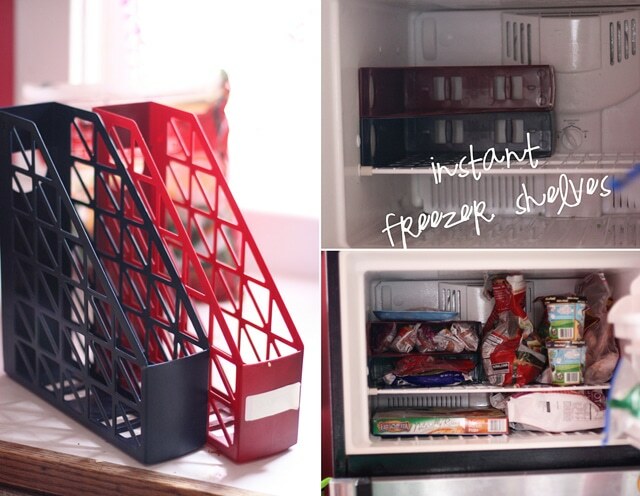 In case your freezer isn‘t all drawers, it can become hard to stack all the food up in there. 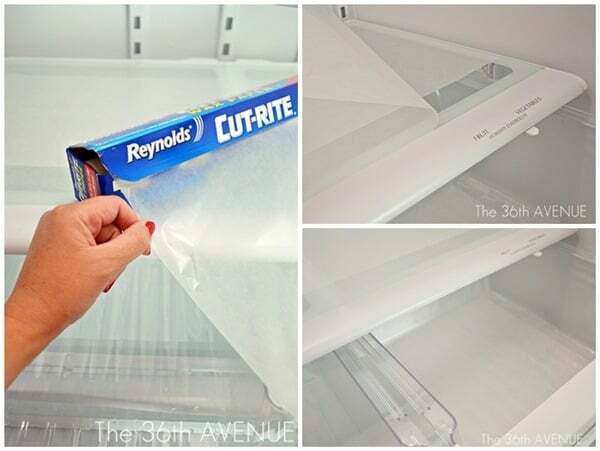 So, you can use magazine holder to divide your freezer shelves. It will help you to feel a bit more organized and create more space for food. That means that you can buy more fresh produce during the seasons and freeze all of that up for the upcoming months! An organized freezer pretty much equals a healthier diet! 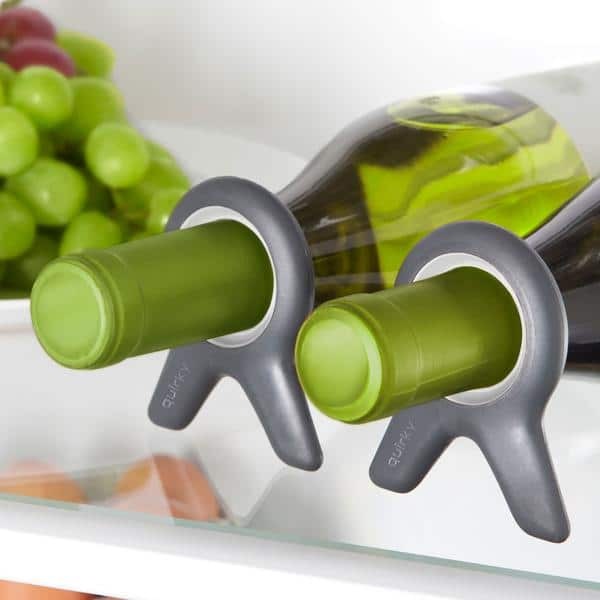 If you‘re the kind of gal who loves to store her white wine bottles in the fridge, these stabilizers are great for keeping them all in the right place. 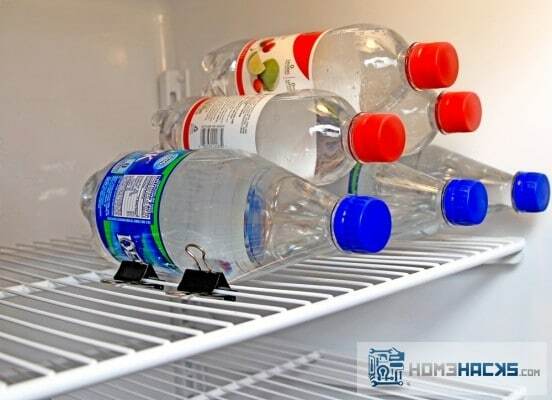 It‘s a simple and cheap invention that you should definitely try if you have trouble stacking up your bottles. Cleaning your fridge can take ages. Plus, you always want to do it thoroughly to make sure the bacteria isn‘t accumulating. The best way to save yourself some time and headaches is to use a plastic wrap. Wrap all the shelves before filling up the fridge. Thus, the next time you have to clean it, it‘ll be so much easier! If you haven‘t used a basket to organize your food before, you‘re missing out. The good thing about them is that you can simply throw all the products in one place and not worry about a thing. Also, you can just take them out when you need something from the fridge. They offer an easy way to keep your foods organized by their type. Here are good quality plastic baskets you can use for your fridge. 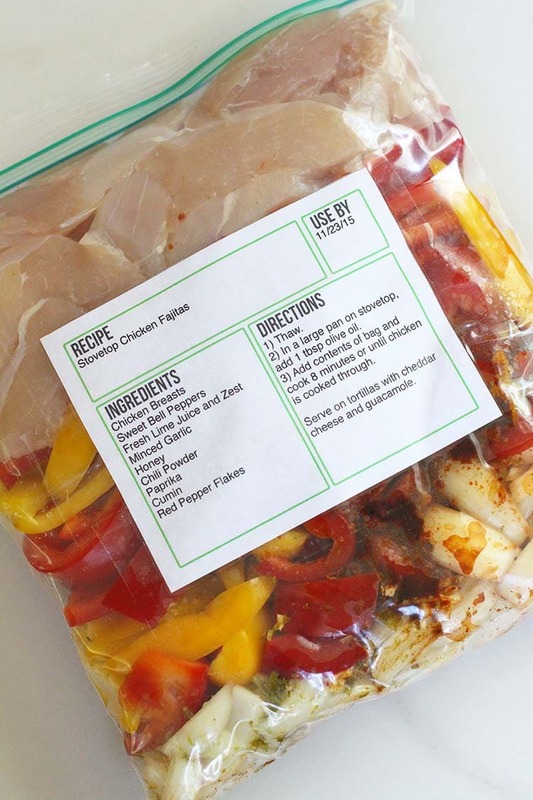 Sealable bags are great for keeping your food fresh. But, they also give you the freedom to keep everything in the right places. It‘s much easier to keep your freezer organized if you can just stack up these sealable bags. Also, they are great for meal prepping and freezing up cooked foods! Is meal prepping your thing? Get good sealable containers like these ones here. Stack them up according to the size and shape. Feel free to use labels to know what‘s where. 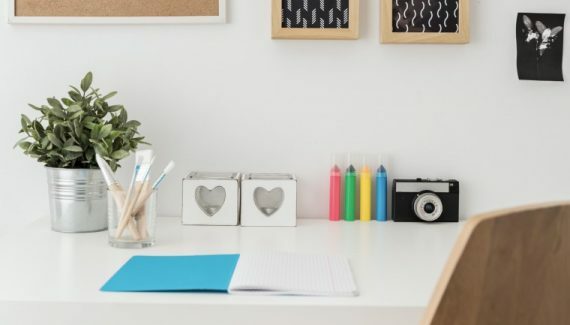 It’s a simple idea, but it’s worth trying if you want to feel a little bit more organized. Also, if you want to start eating healthier this year, these containers will save you! Labels offer a great way to keep the track of how old the food is. 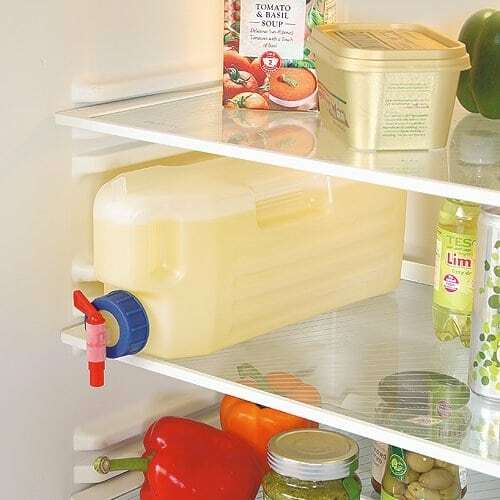 So, you can easily rotate in the fridge and not waste it. Also, you can always prepare the mix for the recipe you might want to try next day. You can easily do that and leave it for your family to figure out. You can truly print whatever is helpful on the labels – including the nutritional information. Have fun with them! Here is a great product for all of you who love drinking from cans. Let’s be honest, they can take up quite a bit of space. 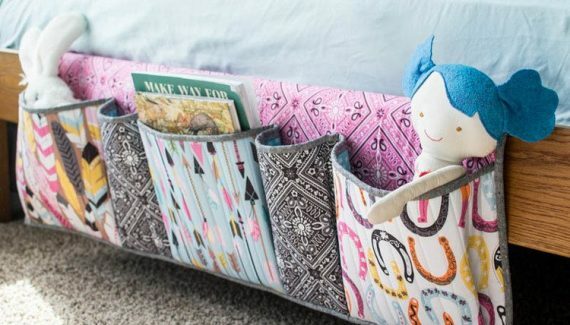 Thus, you can use this organizer to use the vertical space instead of horizontal. It’s very simple, pretty handy and will free up some space for other more important things like food. Get this corner shelf to organize your leftovers or dishes. Whenever you make a cake, you no longer have to worry about having space in the fridge. 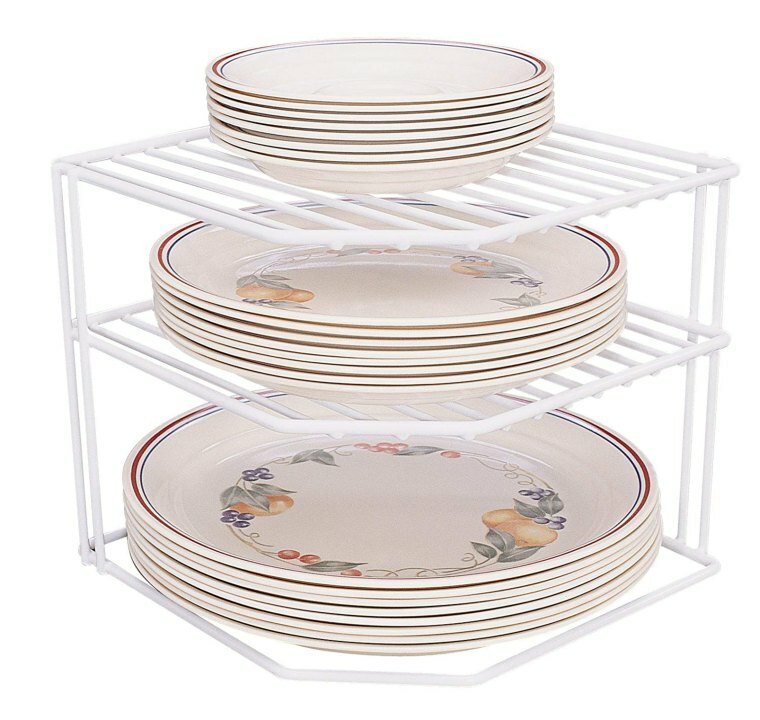 If you haven’t finished a meal, you can always stack the plates up and use that vertical space. At the end of the day, it’ll help you to waste less food! 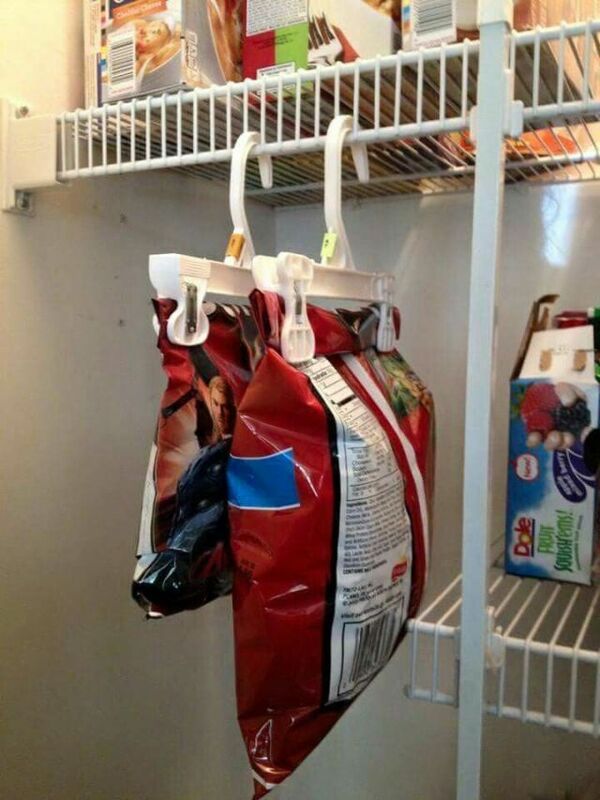 If you want to make sure your snacks stay in the bags and are easy to find, try using hangers to keep them organized. 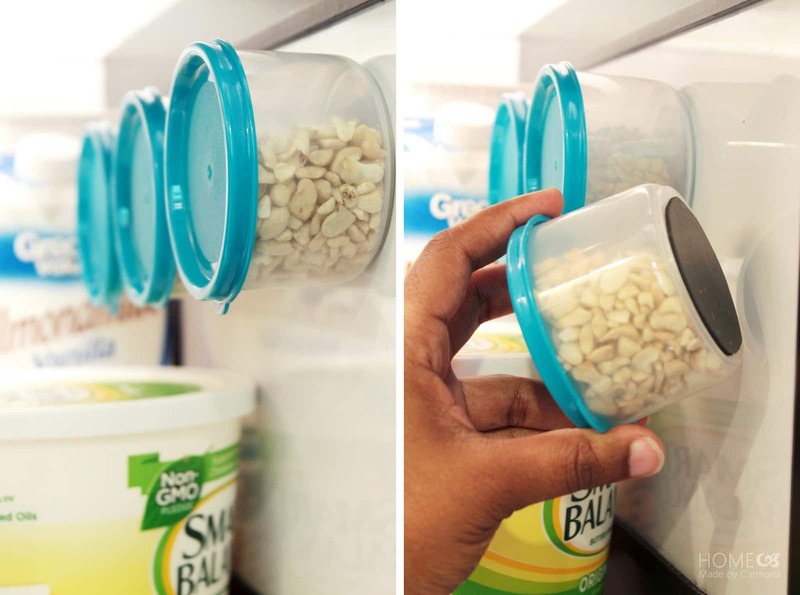 These also give the ability to use the vertical space, so you can put more products on the shelves. 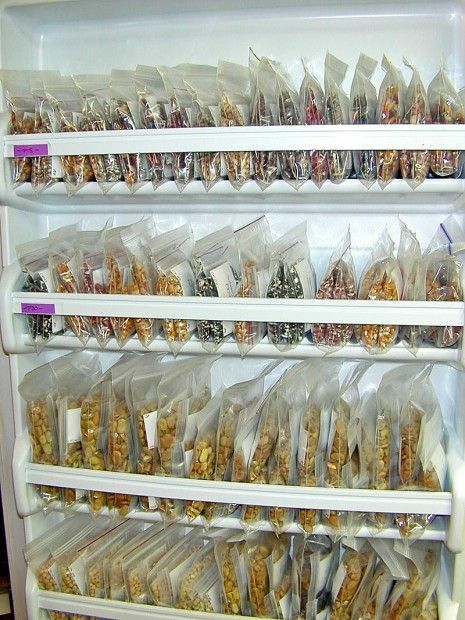 Overall, quite an interesting way to keep your freezer organized! 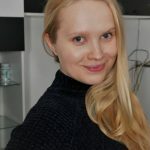 Let me know in the comment section whether any of these ideas are useful! 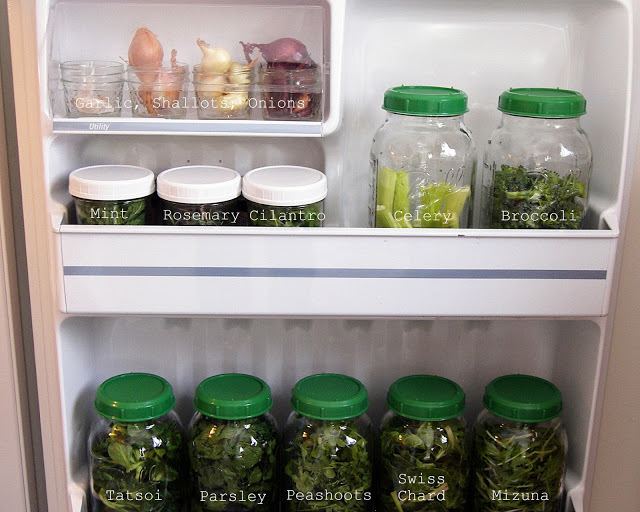 Share your own fridge organization hacks that you’ve tried too!